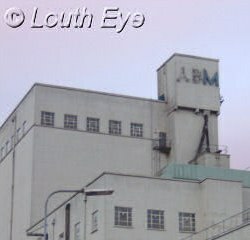 The Malt Kiln has dominated the skyline of the eastern end of Louth for many years. 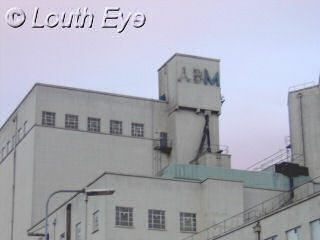 Some people consider it to be an eyesore, but for others it was a valuable source of jobs. 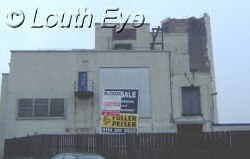 In January 2004 its destruction began. Unfortunately it was not a good candidate for dynamiting, so this process will take several months. 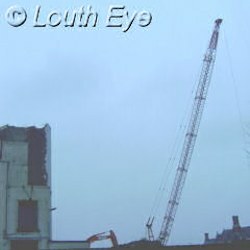 A giant crane was used to begin the demolition of the Malt Kiln.